A mother’s love. 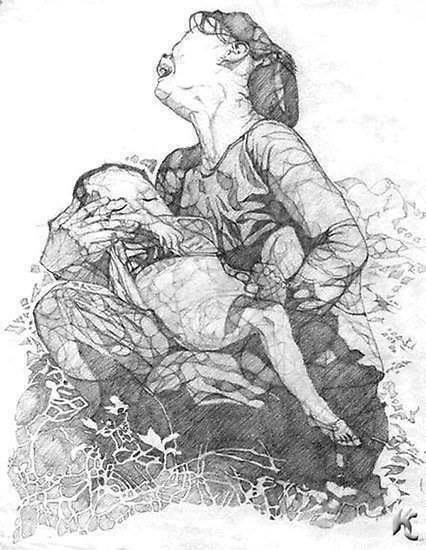 A mother’s grief. Tahlequah is every grieving mom. If only grieving parents had this kind of support to help bear the weight of grief. Compassionate grief support like this should be the norm. Instead it’s few and far between. Where are the human orcas for grieving parents mourning the loss of their child? Until I am where you are. This story has been moving millions around the world. Tahlequah is every grieving mom. Day 10. The Mama Orca is still carrying her baby. She literally can not and will not let go of her precious baby. The female orcas are now taking turns helping the Mama Orca carry her dead baby across the sea. . . so the grieving Mama Orca can eat and rest. If only every parent grieving the loss of a child had this kind of support, space, honor, reverence. The whales are literally surrounding and uplifting this mama, helping to carry the weight of her grief. Is there anything more beautiful than this kind of love and support when someone is deeply hurting? This is grief. This is love. This is true, compassionate grief support. THIS. This is how it should be done. Sadly this is not the kind of grief support the brokenhearted usually receive from our grief illiterate culture. The orcas are showing us how it should be done. Step in. Show up. Lead with your heart. 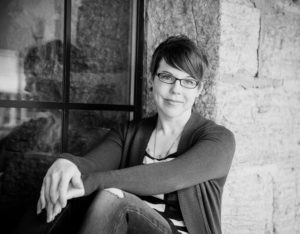 Don’t tell us (or imply) that our grief is not that heavy (of a burden to bear.) Help us carry it. Feel our broken heart. Let it break you open. It’s supposed to. Let’s carry each other’s burdens. Grief shared is grief divided. We need you– more than you know. Literally step in, show up, and help carry the weight of grief. It’s far too heavy for one person to carry alone. The female orcas in the pod are literally carrying this mama’s 400 pound dead baby across the ocean, with her and for her. Wow. What an incredibly powerful example of truly being with someone in pain. I have never before seen such a beautiful display of solidarity. Of community. Of compassion. Of love. Of companioning. This is how it’s done. This is how we need to support our grieving, heartbroken friends. For as long as they need. My wish is that every grieving person in the world would feel THIS supported, loved, held– carried. It pains me to know this kind of grief support is not the norm. We need to do better. We can do better. We MUST do better. 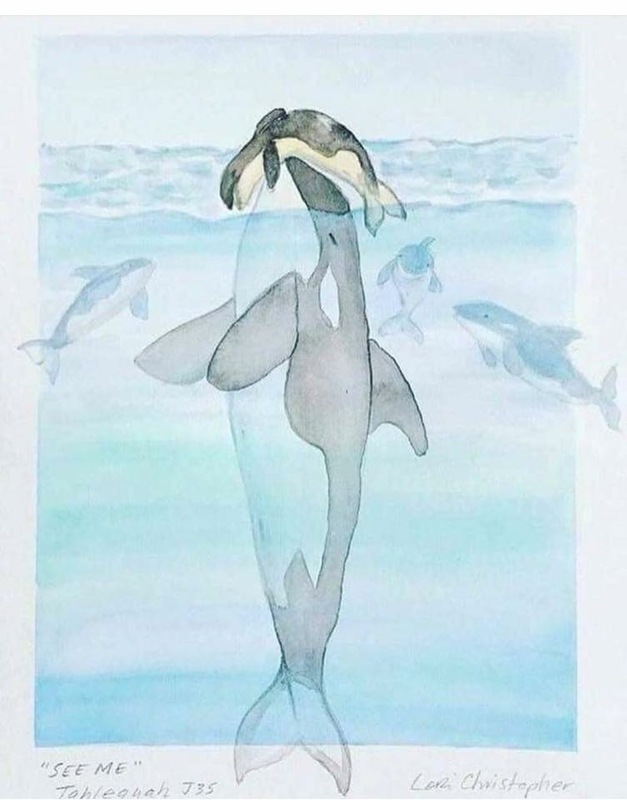 Grieving people long for the kind of grief support the Mama Orca is receiving. It’s all we really want. Besides having our child back with us. We want someone to acknowledge and validate our pain. To bear witness to the depth of our sorrow, the weight of our grief. To find beauty in the depth of the never-ending love we have for our child. To companion us in our grief, to feel with us. Unfortunately grieving people spend most of their time and energy defending their right to grieve. Defending their right to ache, their right to love and continue loving. Do you know how backwards that is? Why is it beautiful and moving when a whale grieves the loss of her baby, but people find it revolting when a human mother grieves the loss of her child? 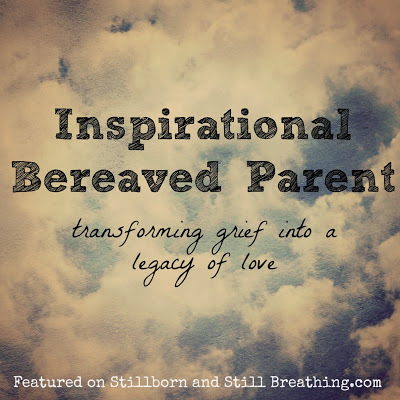 Can we give grieving parents the same respect and reverence? Can we give the grief process the same respect and reverence? We need to show the same compassion for humans grieving the loss of their precious loved ones as we’re showing this mama whale– instead of rushing them to move on, get over it, stuff their sorrow– while we eagerly stuff endless cliches down their throats and wonder why no one is feeling “better” or “healed” yet. We need to stop putting timeliness on grief. We need to acknowledge and validate one another’s pain. We need to stop rushing the brokenhearted along an arbitrary timeline. This is how we should be tending to broken hearts. With love. With empathy. With great compassion. We need to let our hearts break, too. And then respond with love. Compassion. Empathy. This is compassionate grief support. We need to let our actions show a hurting person: my heart aches and breaks for you and with you. We need to lift each other up. Not leave people to carry the burden alone– and then chastise them for not getting over it, or moving along fast enough. How often do we do this to grieving people all. day. long?! For months, years, decades? Why? 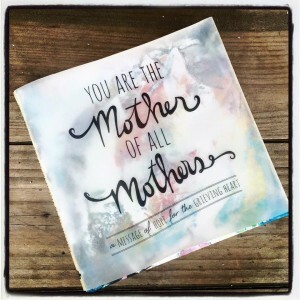 Why do we shame those who are grieving? Every day we carry our dead babies/children with us everywhere. And yet we don’t get much (if any) compassion or support. Instead we get a lot of unsolicited advice about how to best forget and get over the death of our child asap. We need people to understand that the ache in our hearts is directly proportional to how much we love our child. We’re not dwelling, we’re loving. We’re parenting. Still. Always. Forever. We need people willing to remember our children with us. Not people trying to fix us and dictate how (and for how long) we should grieve. Not people constantly telling us we’re not doing it right. No one can tell us how to best love and parent our child… in life or in death. Humans, take note. The orcas know how to support a grieving heart. Let’s take their lead. Someday I hope compassionate grief support will become the norm. This is why A Bed For My Heart exists. Until then, we will continue to use our voices to tell the world what healthy grieving looks like, feels like– is. Hint: it looks a lot like love. Every grieving parent can relate to both the ache and the love in the heart of this grieving mama Orca. May all grieving parents receive such a compassionate and heartfelt response as we REMEMBER and CARRY our children gone too soon, every minute of every day. May we each help hold the weight of grief so no one sinks into the depths. May our grief be honored, revered, and given the space it needs to be exactly as it is. May everyone who is grieving be embraced, loved, and supported exactly as they are. May we each be carried. We will carry our children with us always. This is grief. This is love. Both are forever. A mother’s love knows no bounds. It’s both individual and universal. It’s beautiful and utterly heartbreaking. There is no limit to a parent’s love. Love is forever. Grief is forever. We grieve because we love. We will carry our children with us forever. In our hearts. In our minds. In our souls. In our bodies. In every breath and step we take. For the rest of our lives. May they always be remembered and may their names always be spoken. I dream of a world where compassionate grief support is the norm. May each of us be surrounded, uplifted and carried with great love. May we be surrounded by compassionate souls who will step in, show up, and help carry the weight of grief. It’s far too heavy for one person to carry alone. Top image: “See Me” © Lori Christopher 2018. All rights reserved. This is one of the most beautiful things I have ever read in my life!!! Thank you, Thank you, Thank you!!!! It always amazes me when animals are more sensitive and caring than people. Absolutely beautiful and so true are your words Angela. Do you have this written in any of your other books? I lost my Son in an auto accident 21 years ago, 2 months before his 20th Birthday…I live with pain every single day of my life..He was so full of life, funny and I miss him every single day!! Angela- no words. Just tears. This piece goes to the raw, depths of our pain and explains so beautifully – so gently what each of us needs. This story moved me to my soul. Thank you for such a powerful story. We have huge lessons to learn from the animal world, don’t we?! We must learn how to carry one another with no expectations, just a heart full of LOVE. Deepest gratitude to you dearest Angela, for your innate and BEAUTIFUL way of articulating what lies deep within my soul. Thank you for carrying me and a multitude of others, may we show up in this way always. Thank you so much!! Imiss my boy so much! I go to bed at night and cry. My daughter lost her little girl Lily my gorgeous grandchild 14 months ago aged 8 very suddenly from Sepsis. I will talk to her daily about the magic of that child and the happiness and joy she gave to us all and for me she still does, we are wrapped up with feathers and butterflies (messages from heaven etc) but I can still feel Lily around me and I talk to her everyday, I have the pyjama top that was the last thing she wore under my pillow but as a grandmother and mother I feel when I try to comfort my daughter on a bad day she makes me feel that I cannot be feeling the grief as much as her and I understand that but on these days she just wants to be left alone so what I’m trying to say is no matter how compassionate we try to be we are made to feel useless, I just want my daughter to be happy again but I know that’s not possible but I have learnt to live for the moment but my daughter is waiting for the day that she can join her beautiful daughter in heaven, it’s very hard for me to live with that I am trying so hard to help her but what else can I do we tell each other daily that we love each other but our lives have to go on we are the ones that are still suffering this cruel cruel world even more so now as we all miss our Lily so much I think that our Lily is safe now from the pressures and strife that we have to suffer still, and Lily is at peace now but you cannot stop a mother from missing a beautiful little girl who is our angel in heaven. So please don’t make us the surrounding family think that we are not compassionate ,understanding or supportive enough because it’s very hard for everyone concerned. You are there for her. You let her know in so many ways. Not many of us were given that gift. Even when she is unavailable to you, you are still there. That gives her the freedom to have the bad days without judgement. It’s the best thing you can do. Hugs to you. Just know you are who most of wish was there for us. You are a good role model for teaching others that being present, even as you feel helpless, makes a difference. Thank you so very much! Each and every one of your posts touches me more than I can find words to express. I am so thankful for you Dear Heart!! Yes, so very lonely no matter the age of the child we lost too soon. Yes this registered for me as well; 11 months today since I lost my youngest child (20 year old son) Made about 2 weeks before began to here ‘the move on lines’. I get up each day and move……. .there is no on as life will never be the same again; it is different ; there was life before and now after and I too find that it is easier to just be by myself; small talk does not really interest me and my broken heart does not interest anyone else. I am sure many of us who read this wish we were an orca as they seem to be so much more in tune than may people. 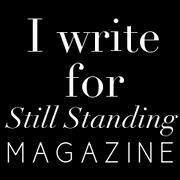 Keep writing and sharing as you TRULY make a difference. Thank You!